See the difference the right attorney can make. Just being "aggressive" is not good enough. A successful Utah criminal defense lawyer needs a balance of strategy, strength, and skill. How and when you play your cards can be more important than what cards you are dealt. A good attorney knows how to fight hard, and fight smart. As an experienced Utah criminal lawyer, Stephen Howard has represented thousands of clients and handled thousands of serious felony charges. 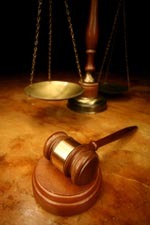 As a result, he knows how to spot legal issues and factual problems that can become the key to success for your case. He has refined the skills necessary to be more than just "aggressive." Mr. Howard pesents a defense that is sophisticated, intelligent, and effective. His track record speaks for itself. Visit our Utah Criminal Defense website to learn more. Or contact us to schedule an initial consultation with Stephen Howard.